This type of advice is well-intentioned, but it’s not going to help you save a lot of money. What if instead of saving $50 this month you want to save hundreds of dollars or potentially thousands? How do you do that? To save a lot of money, you should optimize big expenses instead of cutting every small expense. The top three areas where households spend the most are housing, transportation and food. Anything you can do to optimize spending in these three areas can lead to big savings. According to the most recent data available from the Bureau of Labor Statistics, average total household expenditures were approximately $54,992 from July 2014 to June 2015. The total amount spent on housing, transportation and food was $34,330. So all together these three areas are 62.5% of total expenditures. Focus on this piece of the budget pie if you want to save a large amount of money in a short amount of time. Housing is the largest expense category. From July 2014 to June 2015, the housing category cost an average of $18,128 nationwide, which is about 33% of total annual expenditures. The biggest expenses in the housing category are rent and mortgage payments, utilities and telephone services. Homeowners can save big money by refinancing their mortgages. It’s not uncommon to save a few hundred dollars a month by refinancing. 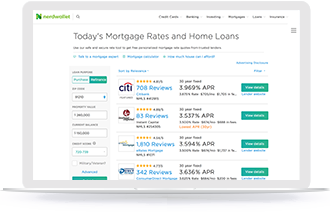 In addition, with mortgage rates as low as they are, you can save a significant amount of money on total interest over the life of your loan. If you’re a renter, you can look for ways to keep your utilities down. And negotiate with your mobile service provider to lower your monthly bills. Transportation is the second-largest expense category. At $9,315 per year, it represents 17% of total annual expenditures. The three main transportation costs are new vehicle purchases, gasoline and car insurance. Everyone needs to get around, but you can control how you do it. In urban areas, you might decide to bike more or use public transportation. If you need a car occasionally, there are plenty of car-sharing services, and Uber or Lyft if you need a quick ride. If you must own a car, then the best thing you can do is optimize your car insurance. Shop around at least once a year and compare your rate. Also, make sure you have the appropriate coverage and, if possible, increase your deductible. Increasing your deductible to $500 or $1,000 can be a great way to decrease your car insurance premiums. This move alone could save you a few hundred bucks or more a year. Food is the third-largest expense, at $6,887, and falls into two major categories: meals at home and meals away from home. This accounts for 12.5% of total annual expenditures. If you find yourself eating out for a majority of your meals, consider increasing the number of meals you cook at home. You could also try to find a restaurant gift card at a discount using a website like Gift Card Rescue. Most people can easily spend a couple hundred bucks a month eating out for lunch every workday. If you’re lucky enough to have an employer that provides lunch during the week, make sure to take advantage of the perk. Otherwise, bring a few lunches from home to cut down on eating out. Plus, you’ll probably eat healthier by making your own lunch. It’s cheaper to be healthy than unhealthy in the long term. When it comes to food spending, go for quality over quantity. Trade your daily fast-food habit for a nice dinner for two every month or buying high-quality ingredients for a home-cooked meal. If you compare the $18,128 spent on housing every year to what you spend on buying coffee in the morning, you’ll see why it pays to think big. If you get coffee once a morning Monday through Friday at $3 a cup, you’re spending $15 per week, or $780 a year. You don’t have to be a math whiz to realize that there is a lot more potential to save money when optimizing an $18,128 annual expense versus a $780 annual expense. To save a lot of money, you should focus on the areas where the most money is being spent. Look at your housing, transportation and food bills to determine where you could optimize your spending. Then sit back and enjoy your growing bank account. Chris Hiestand is a personal finance expert at Lenda, a mortgage refinance site based in San Francisco. Lenda is a NerdWallet business partner.